“I Danced With The Devil” from Christian Faith Publishing author Jason Marlow is the story of a child who only knows the cruelty of a dark and violent life on the streets. It is the story of God’s power to deliver even the most broken from the worst nightmares. “I Danced With The Devil”: the story of Lonnie’s deliverance from the darkness of a cruel life on the streets. 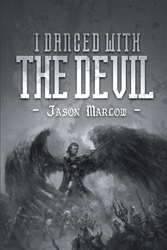 “I Danced With The Devil” is the creation of published author, Jason Marlow. Jason and his wife, Bell, currently live in Lititz, PA. They are active members of a local church in Lancaster, PA. They both lead a small study group in their home. They also develop and oversee several other small groups, which help fulfill the great commission of Jesus Christ. Published by Christian Faith Publishing, Jason Marlow’s new book tells the tale of a child born into extreme poverty who emerges into a world that is cold, dark, and unforgiving. At the age of three, Lonnie was ripped from the arms of his beloved mother, only to be placed in numerous foster homes and detention centers. These so-called homes only proved to be cold and unloving processing houses for abandoned and unwanted children. Lonnie would suffer at the hands of foster parents and others living within these homes. Being beaten and sexually molested at the age of ten, Lonnie retreated deep within himself only to discover a dark evil presence awaiting to control his life. As a teenager, Lonnie decided it was better for him to live on the streets where he realized he could cope with his surroundings through the use of drugs and alcohol. After several years, Lonnie learned to hate himself. Ultimately, Lonnie decides the only way out is to take his own life. What Lonnie does not know is that there is someone walking through this hell with him. It is someone who knows the good in Lonnie. It is someone whose unconditional love will deliver Lonnie from his nightmare life. View a synopsis of “I Danced With The Devil” on YouTube. Consumers can purchase “I Danced With The Devil” at traditional brick & mortar bookstores, or online at Amazon.com, Apple iTunes store, Kobo or Barnes and Noble. For additional information or inquiries about “I Danced With The Devil”, contact the Christian Faith Publishing media department at 866-554-0919.